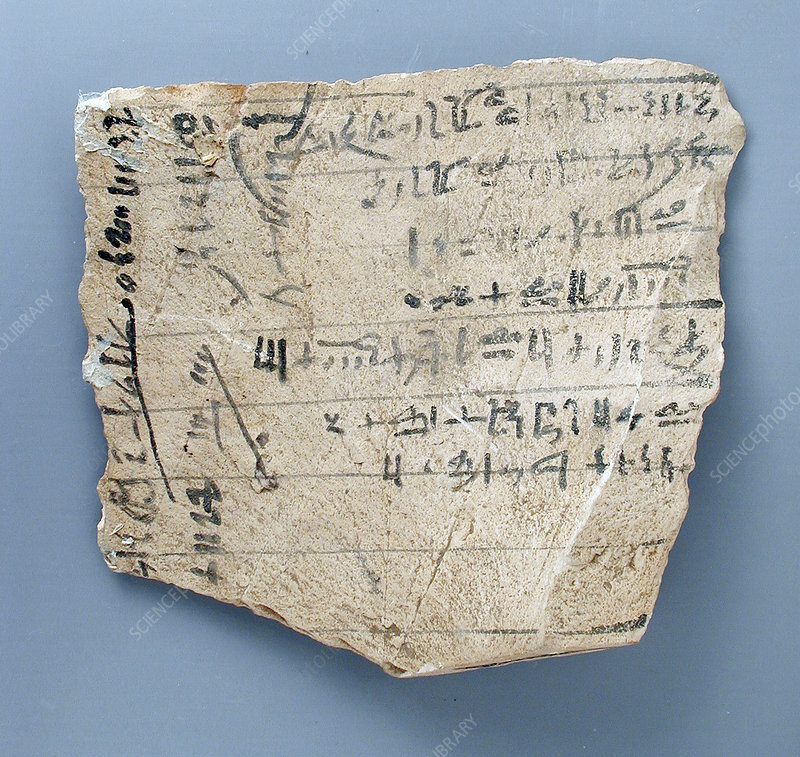 Text concerning the rental of an ax and the craft work done with it, with prices from Egypt, New Kingdom, late 19th Dynasty, 1250 - 1201 BC, year 1 of an unknown king's reign. Limestone. Cuneiform documents were written on clay tablets, by means of a blunt reed for a stylus. The impressions left by the stylus were wedge shaped, thus giving rise to the name cuneiform wedge shaped , from the Latin cuneus wedge . Cuneiform script is one of the earliest known systems of writing. Emerging in Sumer in the late 4th millennium BC, cuneiform writing began as a system of pictographs. In the third millennium, the pictorial representations became simplified and more abstract as the number of characters in use grew smaller, from about 1,000 in the Early Bronze Age to about 400 in Late Bronze Age (Hittite cuneiform). The New Kingdom of Egypt, also referred to as the Egyptian Empire, is the period in ancient Egyptian history between the 16th century BC and.